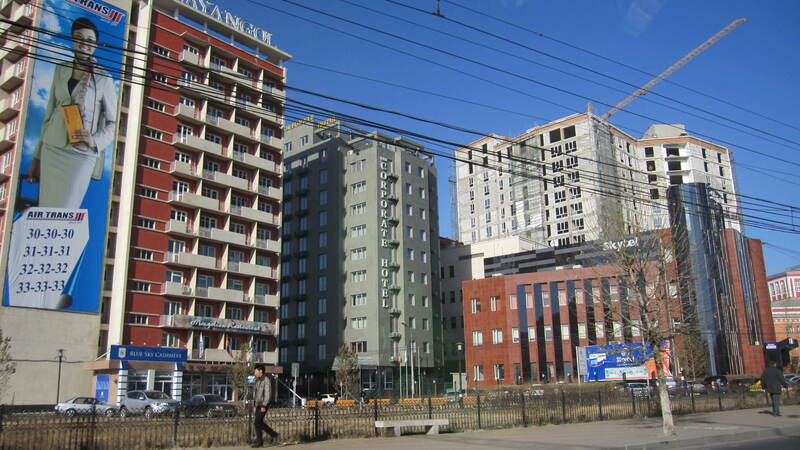 While in Ulaanbaatar, we stayed for weeks at a time in the Corporate Hotel (the gray one in the center of the photo above), a short walk from my husband’s office. It is small, no-frills, and comfortable. 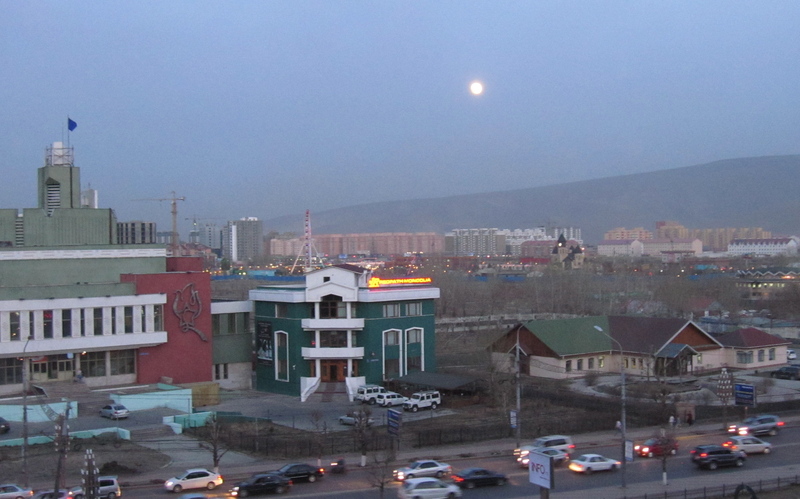 From our window we saw the magical Bogd Khan Mountains. 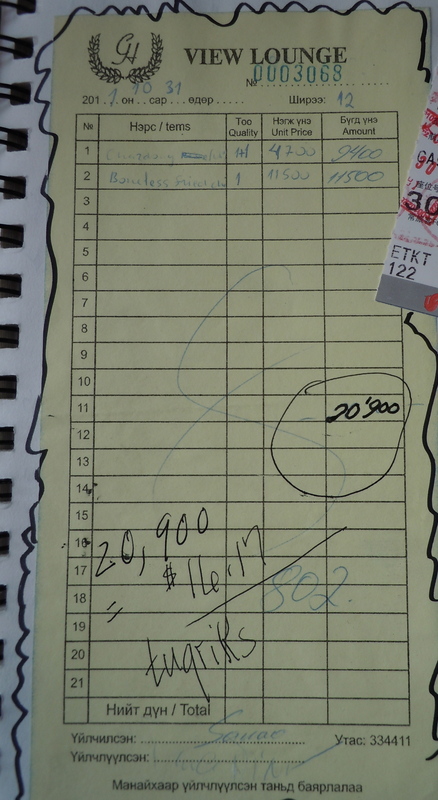 When Stewart was at work, I explored the city a bit but spent most of my time in the Chairman Restaurant on the 2nd floor of the hotel, reading and writing. It became my new nest. Journal Entry- November 4, 2011: “Here I am, seated at my favorite corner table in this little restaurant in the northern part of Outer Mongolia, trying to get used to broccoli and beets for breakfast, while listening to old-timey western songs like “Oh, Donna”, “Unchained Melody” and “There’s A Summer Place” on the CD player in the alcove. A bit of a disconnect! The space is quite simple- very low ceilings, not much light- but they have made it look as attractive and welcoming as possible, with pastel tablecloths, napkins folded into geometric shapes and tucked into glasses, and vases of carnations. 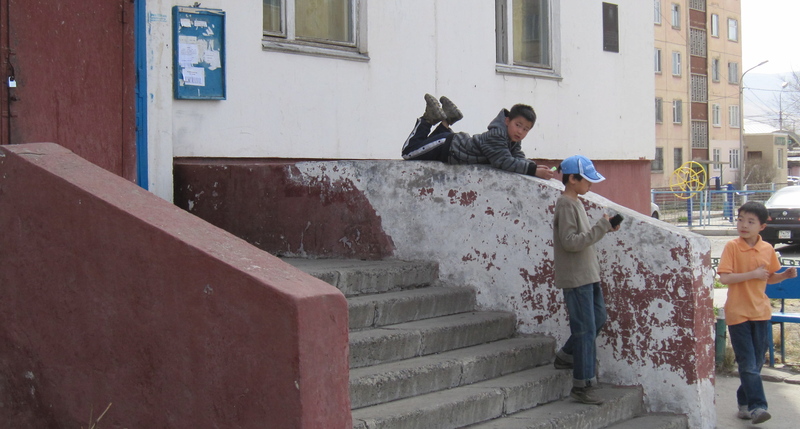 Several times a day a young Mongolian man plays western-style music –beautifully- on a mini-grand piano. 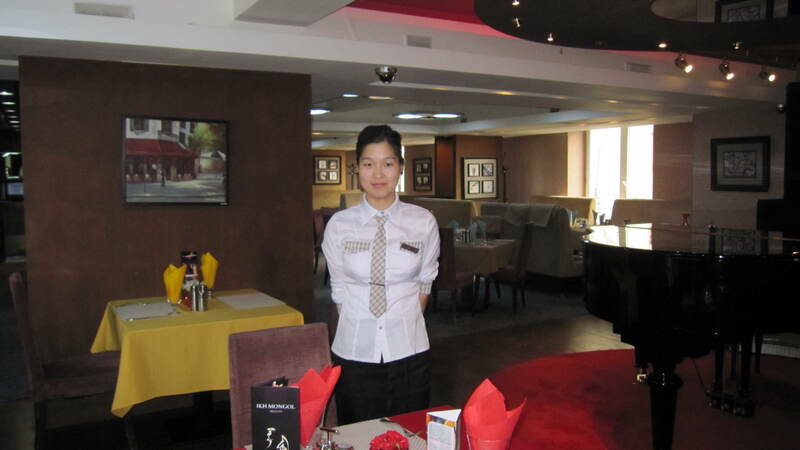 The staff of the Chairman Restaurant became my acquaintances. Their friendly manners and fresh, healthy good looks were lovely, and they made me feel right at home, gracious and attentive, while also respecting my solitary routine. 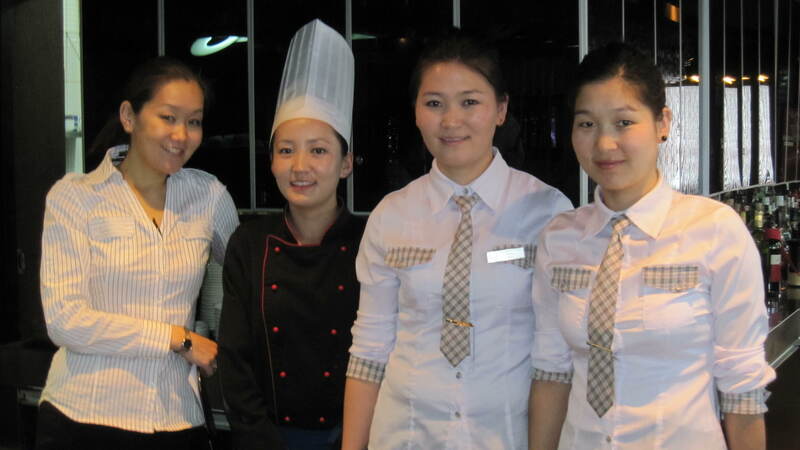 Four young women were a special part of my day: Tsutsaa and Orkhon were the servers, and Badam was the chef. 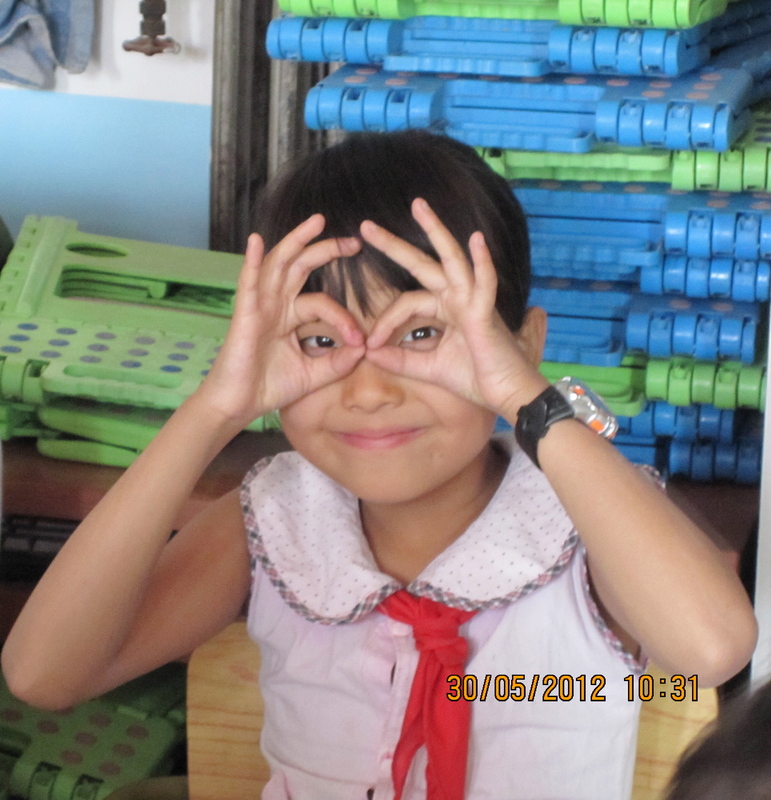 They knew very little English and were curious about me, since I sat there all day long! 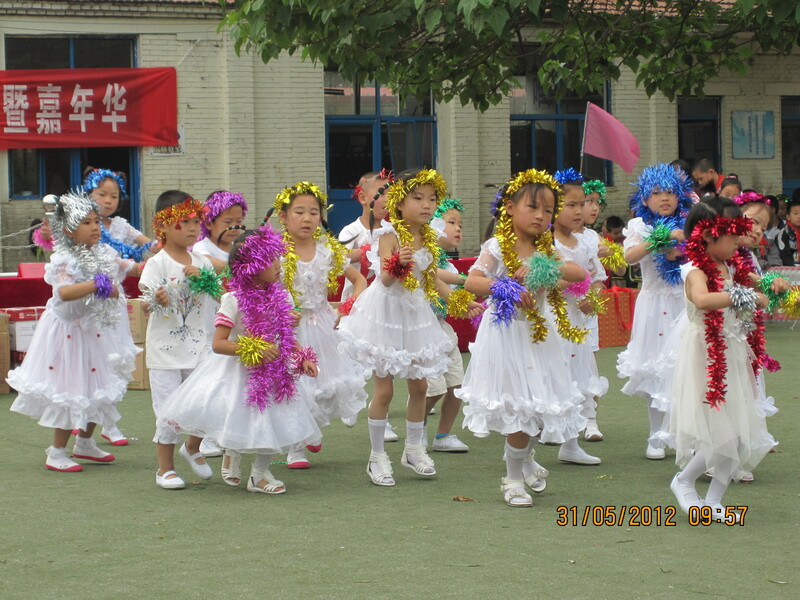 We communicated through pantomime, sketches and a few key words. The manager, Daria, on the other hand, spoke English fluently, as she and her husband had lived in the USA for a while and, in fact, her young daughter is still there with the grandparents. 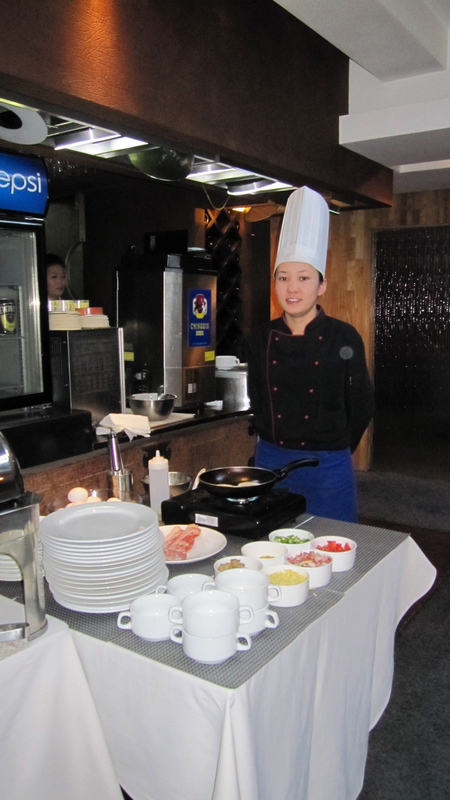 Daria is typical of well-to-do young Mongolians who have traveled to America to further their formal education, and have recently returned to Ulaanbaatar to take part in the burgeoning development taking place. 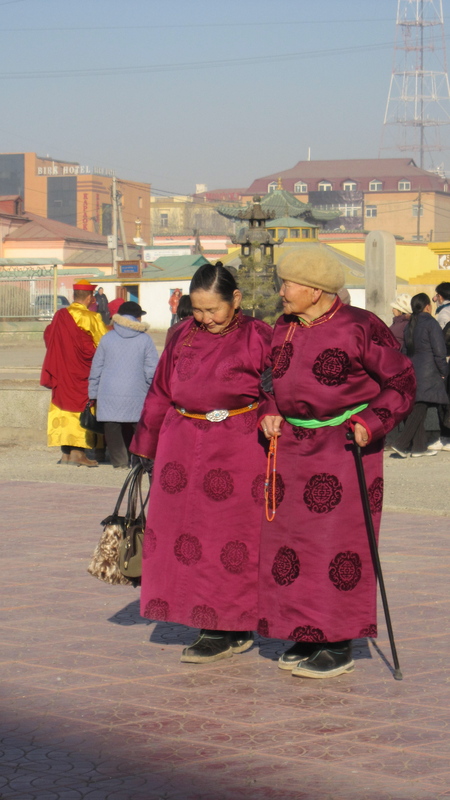 Women have played a vital role not only in the history of Mongolia but also in recent political and economic enterprises. More on that topic in future posts. Some basic facts. 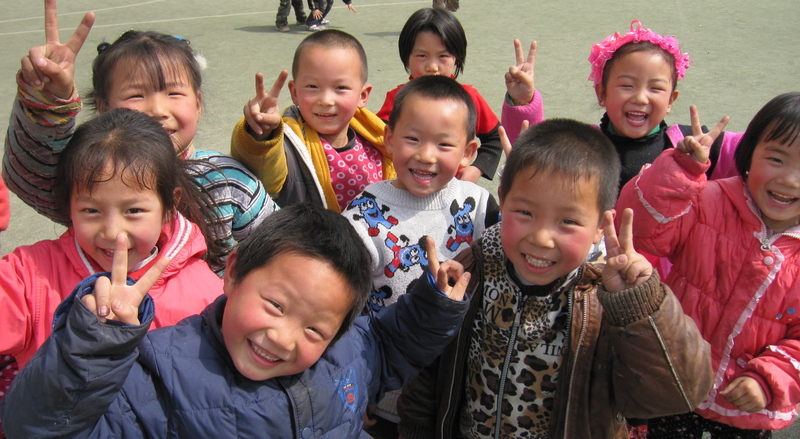 Outer Mongolia is about the size of western Europe, bordered by Russia and China, with three geographic zones: the Gobi desert in the south, the steppes in the middle , and dense forestland and mountains in the north and west. 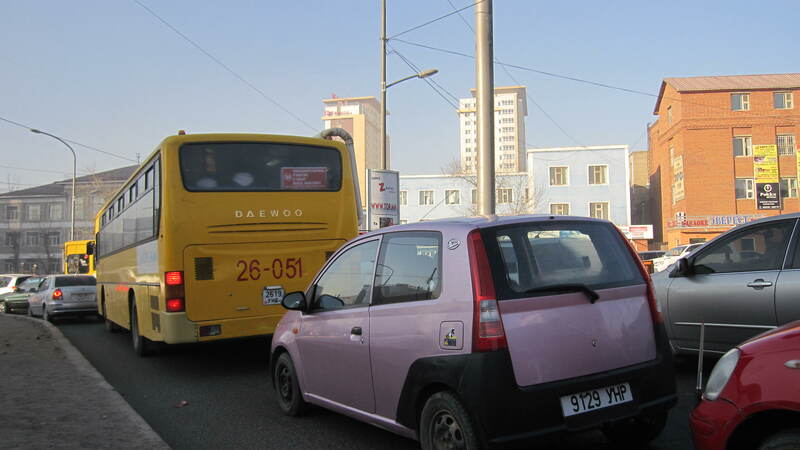 The population in 2011 was 2.8 million , 45% of whom live in Ulaanbaatar. 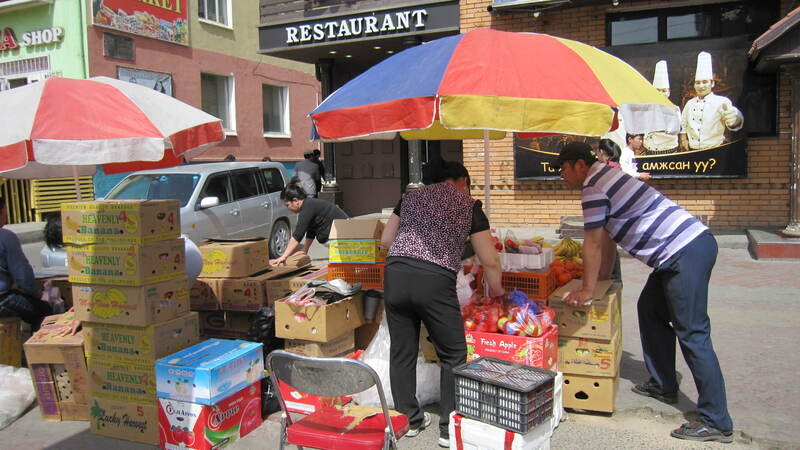 Mongolia differs from the rest of Asia in that it is a nomadic culture, which means individuals there are accustomed to their personal freedom. Surrounding the capital city are “gertowns” –or shantytowns. These felt gers are scattered all over the hillsides around the city, emitting smoke out of their makeshift tin chimneys from fires ignited by whatever fuel they can find. This is the source of much air pollution. One of the country’s biggest challenges as it modernizes will be how to manage the transition from gers to permanent residences. The average life expectancy is 68, which makes Stewart and me among the elderly here. A humbling thought! 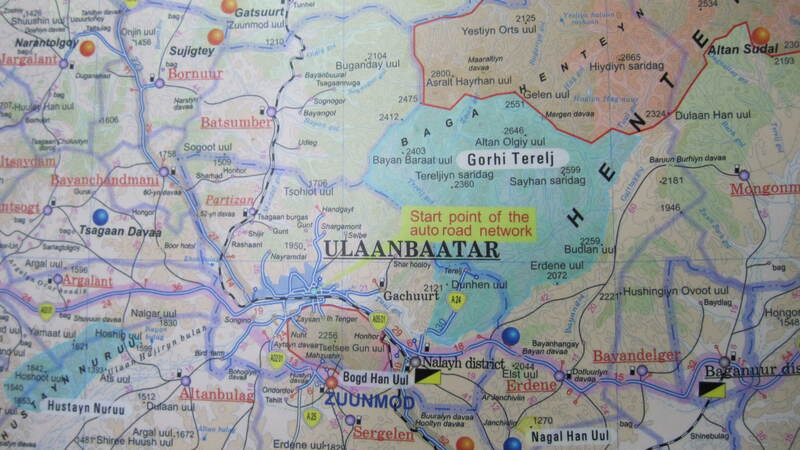 Ulaanbaatar is on the banks of the Tuul River in the foothills of the Khangai Mountains. The patron saint of the city is the massive mythological bird named Khangarid, who represents eternity, strength, courage and power. He is everywhere. Literally. On pictures, banners, signs, napkins, and souvenirs. A force. 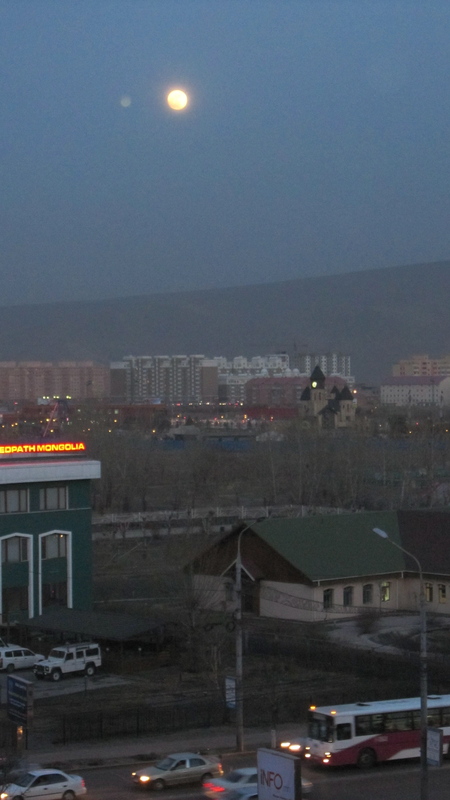 Mongolians believe their capital city is guarded by the Bogd Kahn Uul, which means “Holy King Mountain”. It was established as a protected area in 1778, reputedly the first such designation in the world. 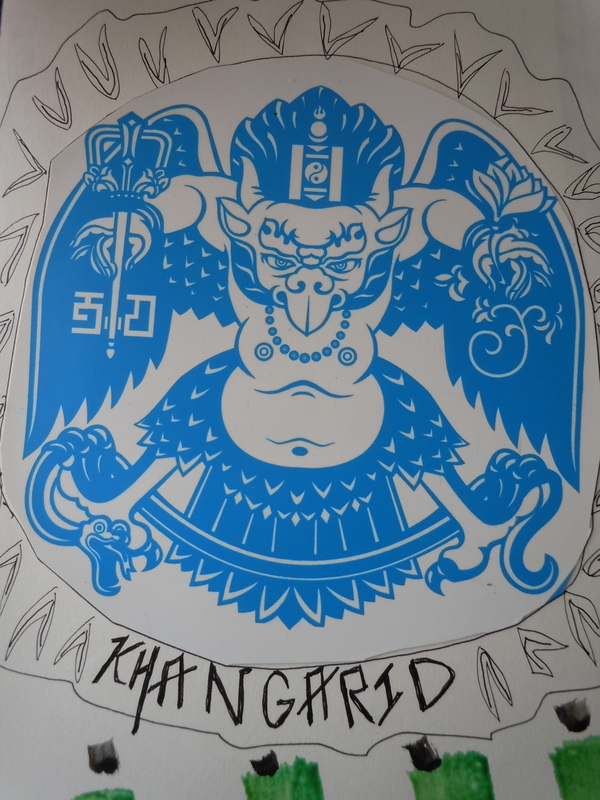 The flamboyant Khangarid is the deity residing in these mountains. 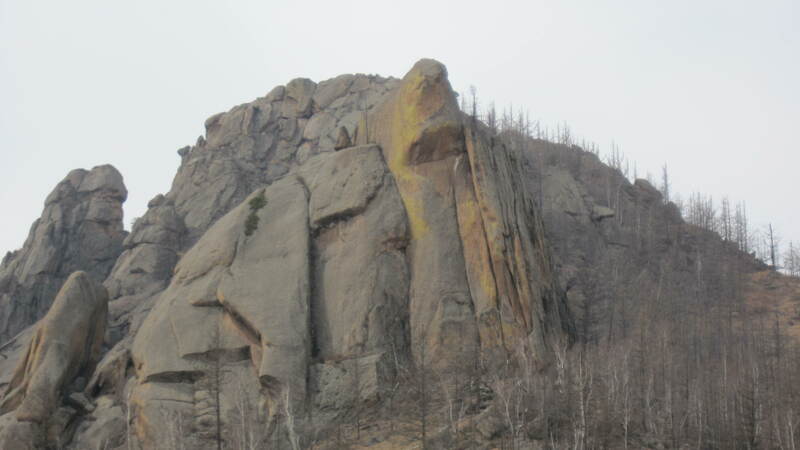 The etched cliff facades resemble the lined faces of sages, imposing and weathered. 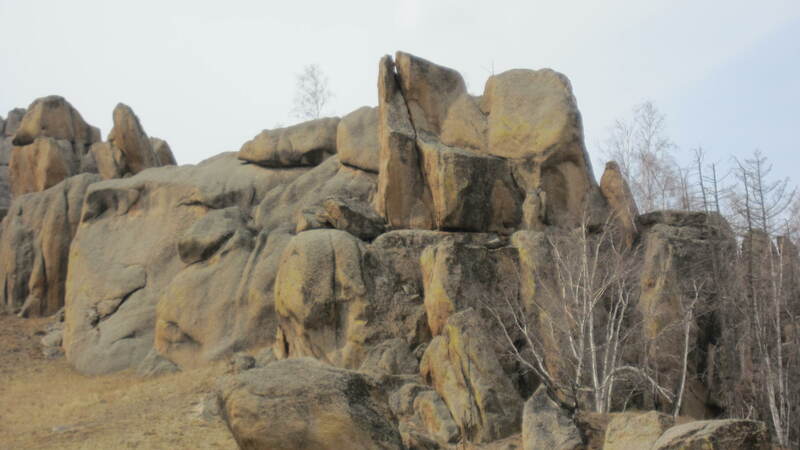 It is easy to imagine Khangarid and a host of ancient souls embedded in the Khangai range. For several centuries, the rulers of Mongolia were called the Bogd Kahn. The last man bearing that title was born in Tibet in 1869, moved to Ulaanbaatar (then called Urga) in 1874, and enthroned as the great Khan in 1911, when Outer Mongolia declared independence from the Qing Dynasty, China’s last dynasty. Thus, the king was named for the mountain rather than the other way around! 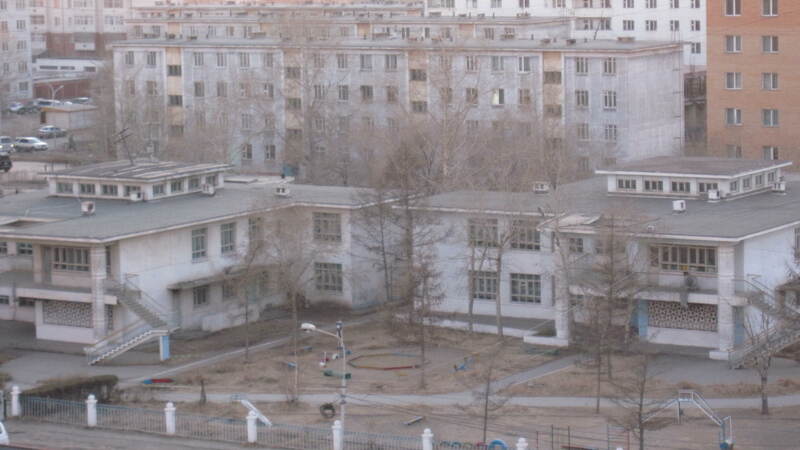 This Bogd Khan lost power briefly when Chinese troops occupied the country in 1919. A revolution in 1921, led by Mongolians, put him back in power in 1924. 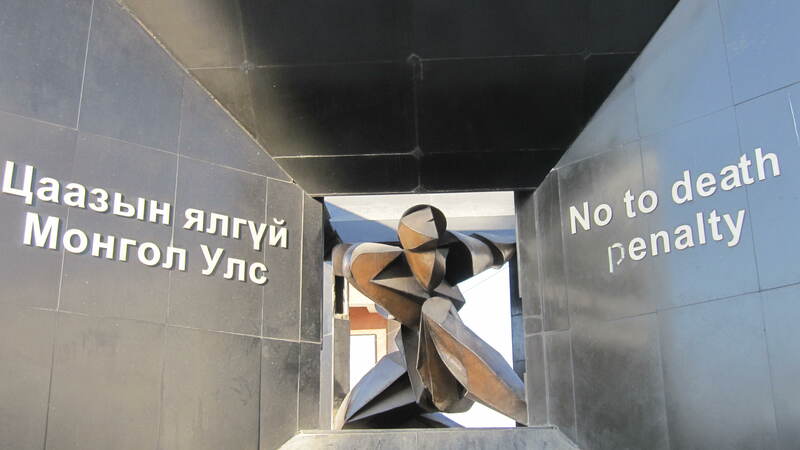 After his death, a Mongolian Revolutionary group, led by followers of Russian Communists, established the Mongolian People’s Republic, which lasted until the fall of the Soviet Union in 1990. 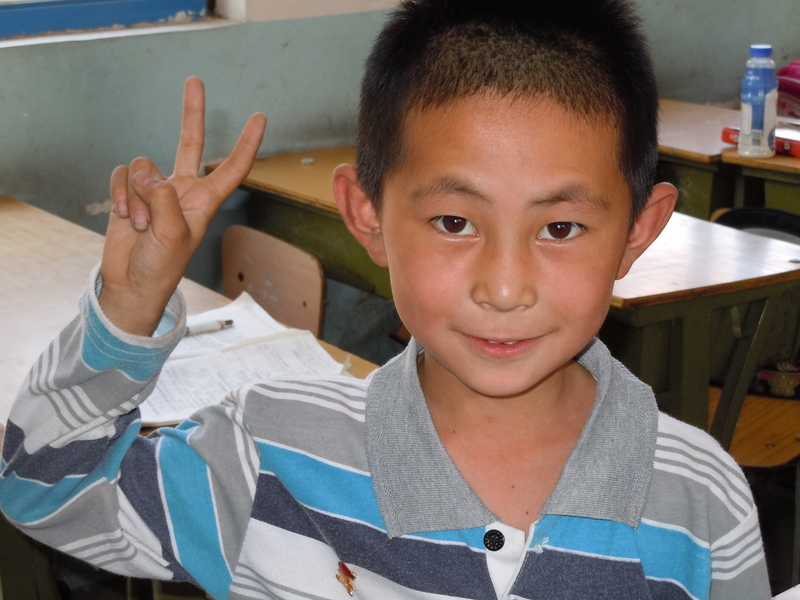 In 1992 the present day constitution was written, making Mongolia a democracy. 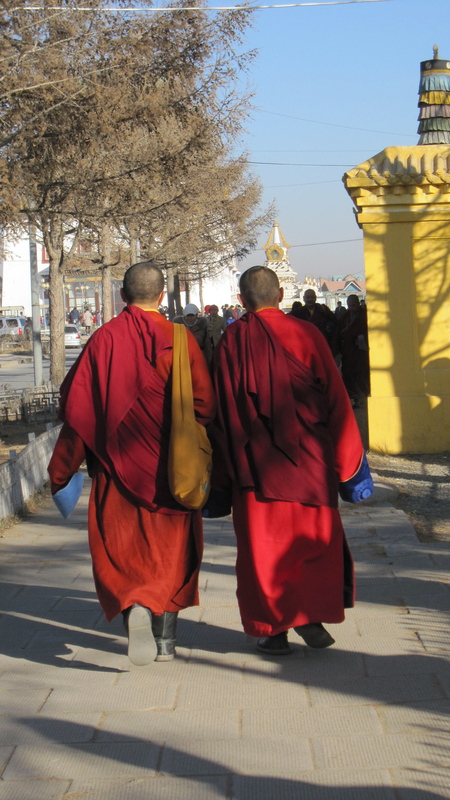 During the transition from the last Bogd Kahn, a Buddhist, to the reign of the Soviets, there was an effort to suppress all expressions of religion. 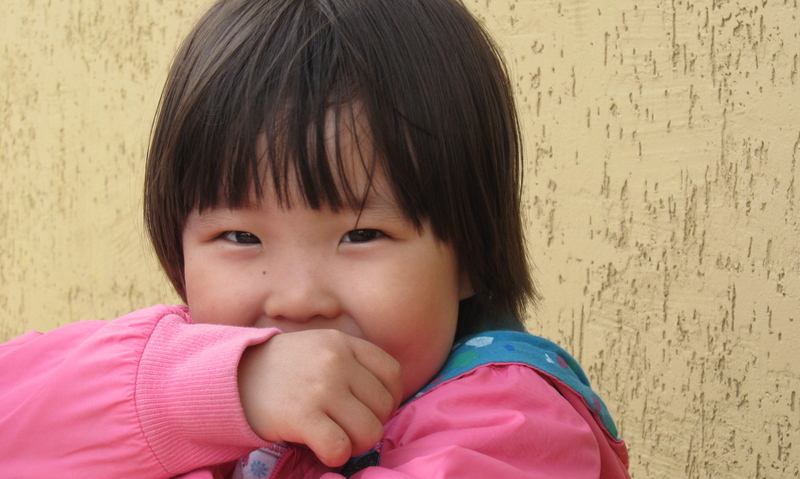 The Mongolians, however, are a deeply spiritual people, who are especially reverent toward their natural world. They feel the presence of the last Kahn, and the mountain bearing his name is considered sacred. 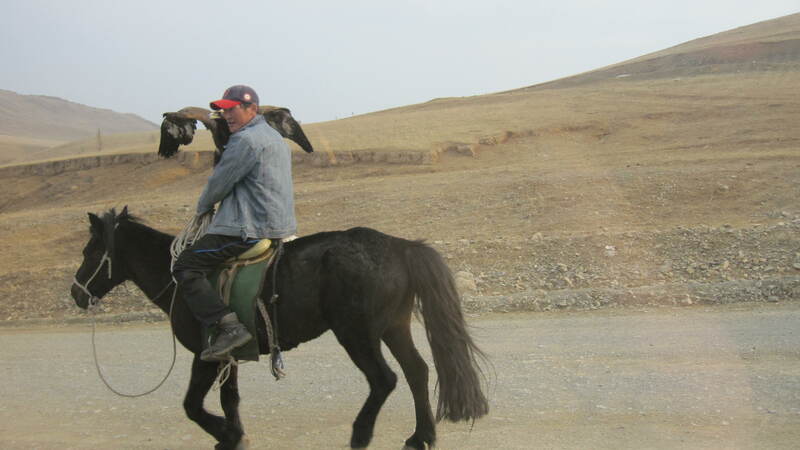 There is a certain mystery and enchantment about Mongolia- land of bird deities and mountain spirits. We felt like we were on the edge of the earth there, swept up in a vast panorama, witnessing both centuries past and centuries to come. From the glittering new cities of Dubai and Doha to the rugged outpost of Ulaanbaatar. From words cluttered with consonants to words filled with vowels. From stifling heat to frigid cold (40 degrees below 0 in the winter). From diamond bright skyscrapers to felt gers (yurts) and squat concrete buildings. From a benevolent monarchy to a young democracy. 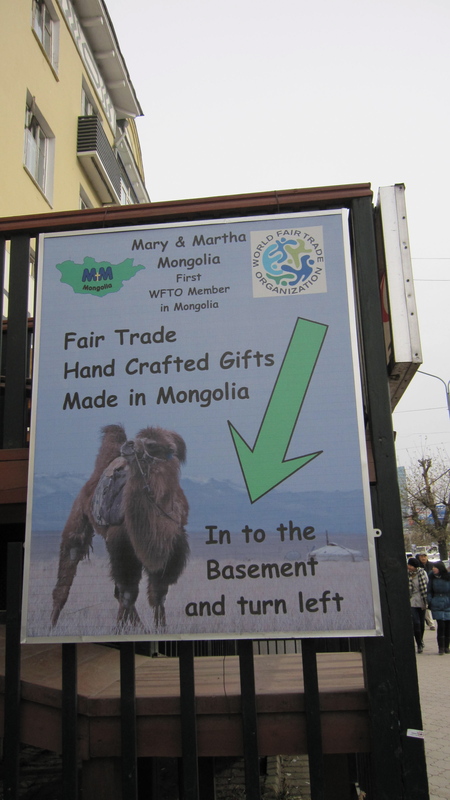 The transition from the Arabian Gulf to Mongolia was dizzying. 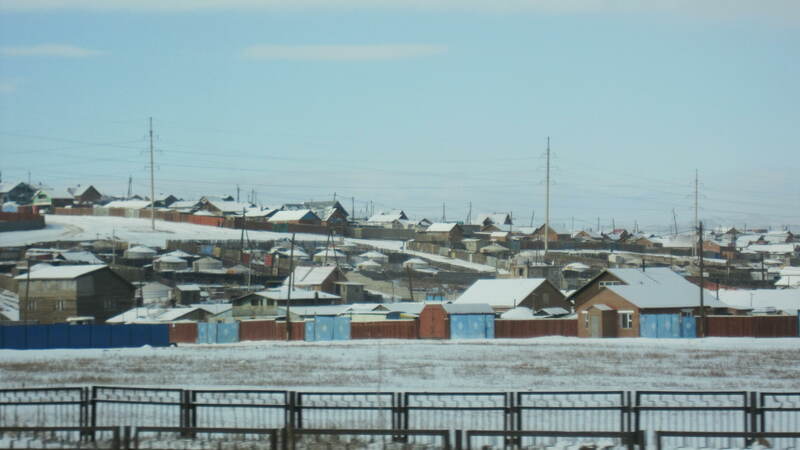 Present day Mongolia is like the United Arab Emirates and Qatar in 1970, when they were simple unknown fishing villages. The discovery of oil catapulted them into a frenzied spiral of growth and a presence on the global stage. 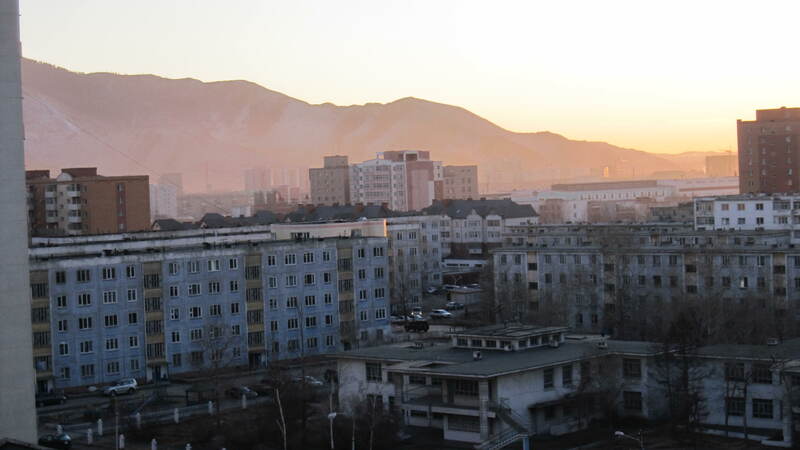 The recent discovery of copper, coal and gold is having the same effect on Mongolia. So these countries share the mixed blessing of natural resources. 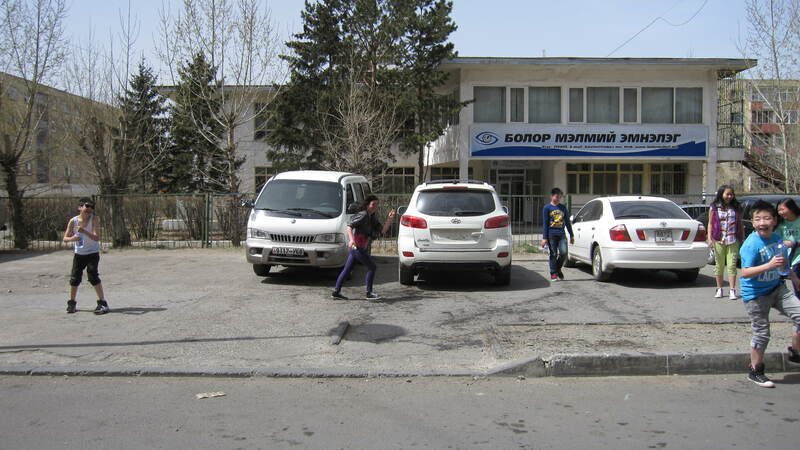 Mongolia, however, is just beginning to face the challenges inherent in this dynamic. As we settled into this intriguing place, we had to reorient ourselves, to shift from fast forward to rewind. 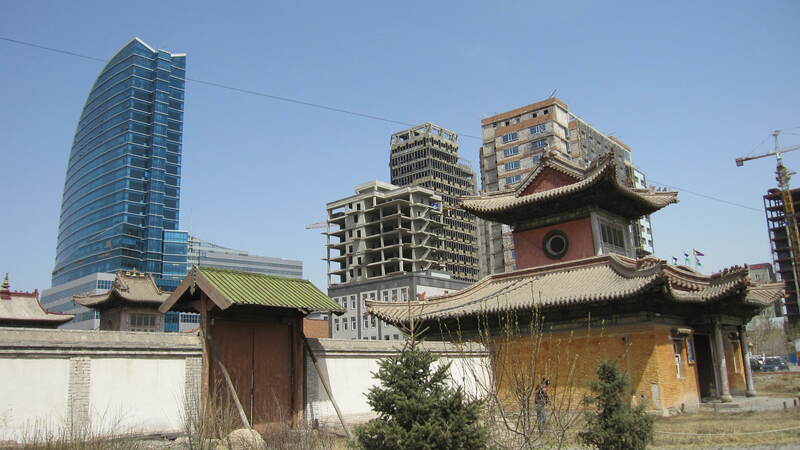 Mongolia is part California Gold Rush/ Wild Wild West, part Cold War 1950’s Soviet Union Sinister Blandness, and Part Buddhist, Pastoral Landscape, with flashes of wealth, sophistication and modernity. 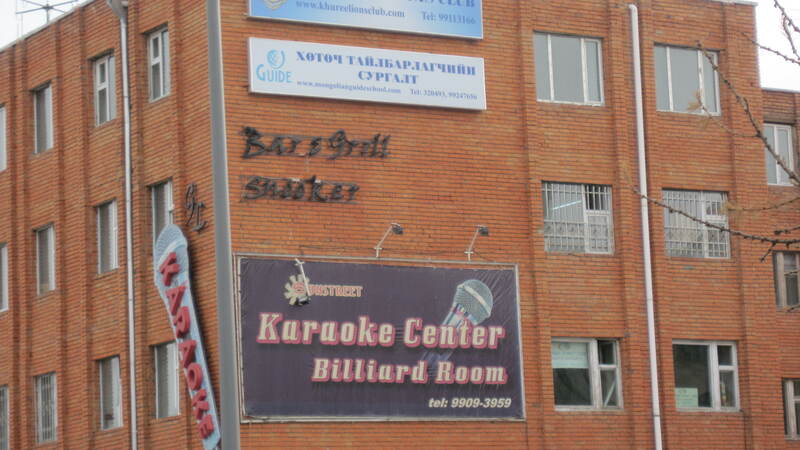 I have developed the same level of respect for the proud Mongolians as I feel for the Emiratis and Qataris. They possess the same eagerness and determination. They aim to preserve their culture while adapting to the Third Millennium and the rest of the world’s sudden interest in them… I hope they can. I am no longer in transit… but I am in re-entry mode! So here are more photographs. All of these were taken in Beijing. Enjoy the slideshow below.